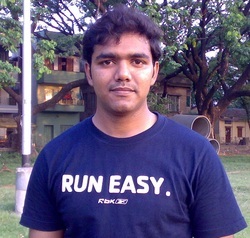 Sanjay Agrahari Was Born On 7th October 1984 In Kolkata. His Father, Shree Ram Chandra Agrahari, Is a Businessman By Profession. He Is a Vaishya (Baniya) By Caste And a Hindu By Religion, However He Does Not Believe In Caste System. He Has Two Brothers And Three Sisters. He Started His Early Education In Holy Christ School (Kolkata). He Was An Average Student In His School time. After Completing His Higher Secondary from North point School (Kolkata), He Got His Graduation degree in Commerce From Calcutta University. After Graduation He Engaged In His Father's Business To Support And Develop His Business. Apart From That He Is Also Involved in Social Activities. * In 2008, He Found a book Named, "Satyarth Prakash" (The Light Of Truth). After Reading This Book a Revolutionary Change Came In His life. Thereafter He Became a Pure Vegetarian And Start Following The Vedic Path. Then He Joined Arya Samaj Calcutta. After Joining This Organisation He Took Active Participation In All Its Activities. * In 2009, He Attend The Yoga Classes As a Special Member Of "Bharat Swabhimaan Trust" Under the Guidance Of Swami Ramdev Ji From 11th Sep To 16th Sep At Patanjali Yogpeeth, Haridwar. And There He Acquired a Yoga Teacher Certificate By Swami Ramdev Ji.